Department of Pediatrics, University of Cincinnati College of Medicine, Cincinnati, OH, USA, and Perinatal Institute and Global Child Health, Cincinnati Children's Hospital Medical Center, Cincinnati, OH, USA. Latter-day Saint Charities, Salt Lake City, UT, USA. Division of Life Support, American Academy of Pediatrics, Itasca, IL, USA. World Hope International, Alexandria, VA, USA and Freetown, Sierra Leone. Division of Neonatology, Saint Louis University, St. Louis, MO, USA. Division of Neonatology, University of Calgary, Alberta, Canada. Division of Neonatology, Geisel School of Medicine at Dartmouth, Hanover, NH, USA. Section of Neonatology, University of Colorado School of Medicine, Aurora, CO, USA. 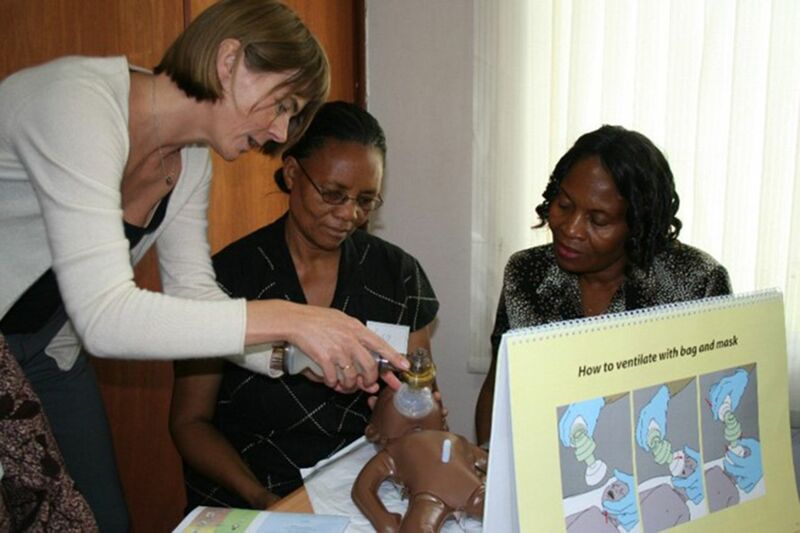 Pilot testing of Helping Babies Breathe 1st Edition in Dar es Salaam, Tanzania. © 2010 Eileen Schoen/American Academy of Pediatrics. 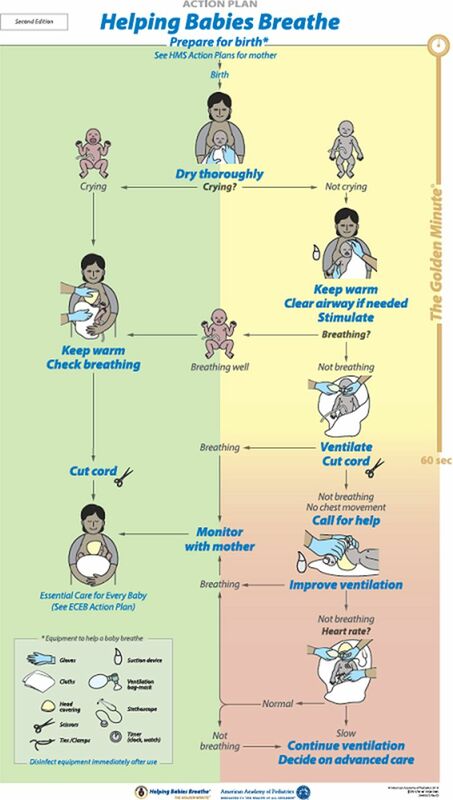 Abbreviations: ECEB, Essential Care for Every Baby; HMS, Helping Mothers Survive. Source: Niermeyer S, Kamath-Rayne B, Keenan W, Little G, Singhal N, Visick M, eds. (2016).7 Reprinted with permission from the American Academy of Pediatrics. 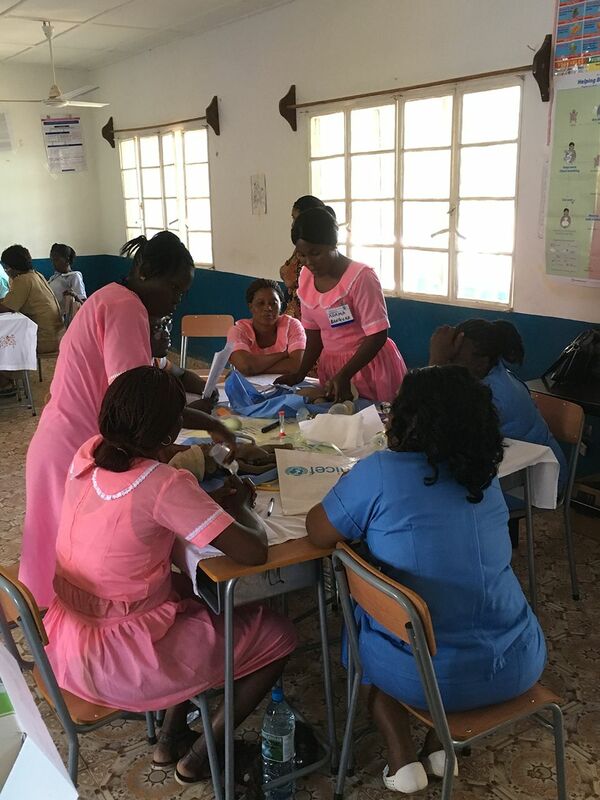 Field testing of Helping Babies Breathe 2nd Edition with MNCH aides in Kabala, Sierra Leone. © 2016 Erick Amick/American Academy of Pediatrics.